The Wolf Walk T Shirt in royal is a wonderful new design featuring Niko Akni. He is walking down a snow covered road at the Preserve. 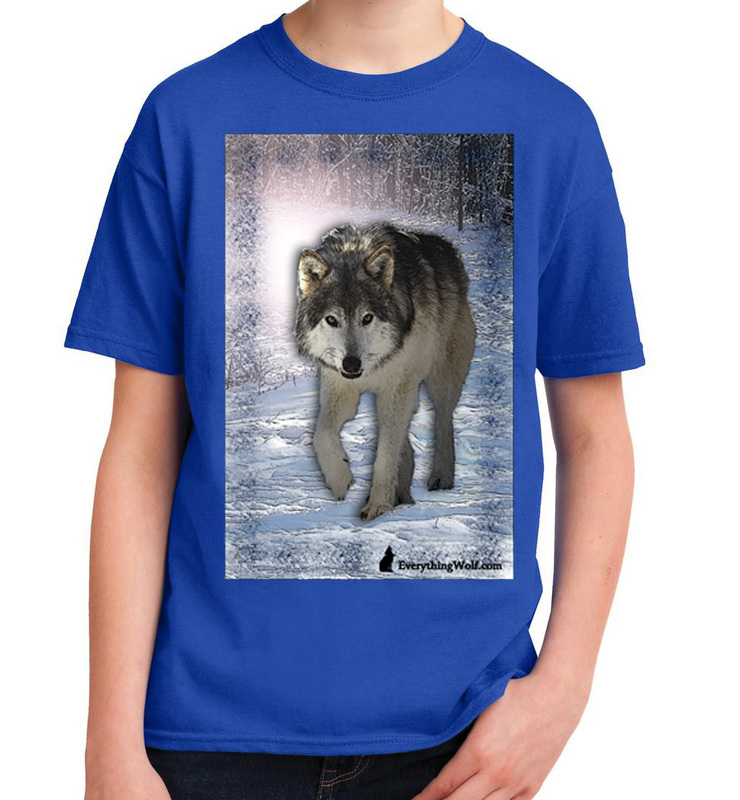 This Wolf t-shirt is made of 100% ultra cotton and is preshrunk. Machine wash inside out in cold water on the delicate cycle, tumble dry low. Refer to our size chart for a good fit.